As our devices become thinner and more lightweight, the risk of theft increasingly rises. Kensington provides some peace of mind with the new NanoSaver Keyed Laptop Lock and Nano Security Slot, specifically designed for today’s ultrathin laptops, tablets and desktop peripherals. The company has been providing physical security for devices for 25 years. The lock and accompanying slot secure select items using patented technologies and went through rigorous testing. 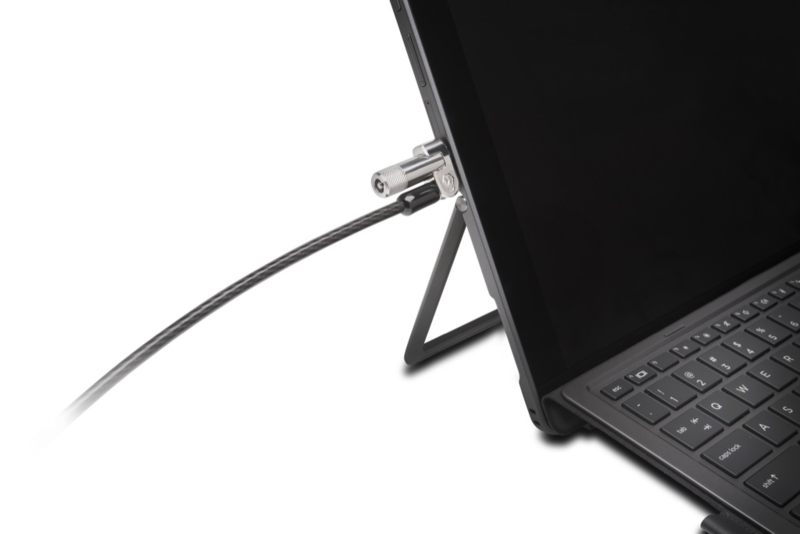 HP Inc. is the first manufacturer to integrate the Kensington Nano anti-theft system, featuring it on the HP Pro x2 hybrid laptop. Learn more on the Kensington website. San Mateo, CA – February 28, 2017 – Kensington®, a worldwide leader of desktop computing and mobility solutions for IT, business and home office professionals and The Professionals’ Choice, celebrates 25 years of innovation and leadership in physical security with the introduction of its new NanoSaver™ Keyed Laptop Lock and accompanying Kensington Nano Security Slot™. The new lock and slot were designed for today’s increasingly thin and lightweight devices. HP Inc. is the first manufacturer to integrate the Kensington Nano Security Slot into its new Pro x2 – paving the way for next generation security for ultra-thin devices and desktop peripherals. 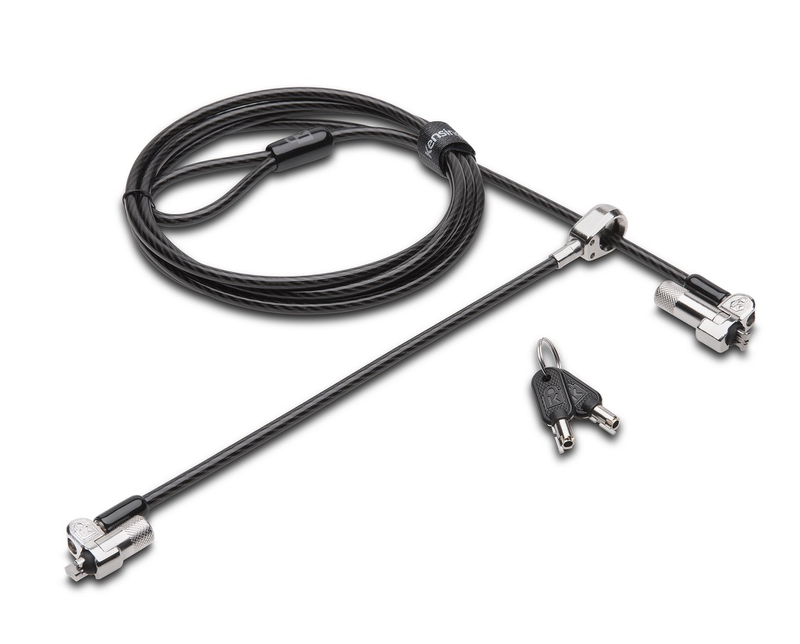 Kensington invented the first laptop lock in 1992 with the launch of the original MicroSaver® Lock and Kensington Security Slot™, and has since been the standard in physical security. With 20 million locks sold stretching more than 132 million feet – enough to circle around the equator – global brands like Acer®, ASUS®, HP Inc.®, and Lenovo® trust Kensington to provide the anti-theft protection users need to secure their devices and the valuable data kept on them. Kensington is a leading provider of desktop and mobile device accessories, trusted by IT, educators, business and home office professionals around the world for nearly 35 years. Kensington products empower people to dynamically interact with content, creating a better working experience for productive performance. In both office and mobile environments, Kensington’s extensive portfolio of award-winning products provides trusted security, desktop productivity innovations, and ergonomic well-being. Our core competencies in engineering, industrial design, product quality and responsive customer support make Kensington The Professionals’ Choice™. Headquartered in San Mateo, California, Kensington operates as the technology division of ACCO Brands (NYSE: ACCO), a world leader in branded office products, with products marketed in more than 100 countries across the globe. Kensington and MicroSaver are registered trademarks of ACCO Brands. Hidden Pin, Kensington Security Slot, Kensington Nano Security Slot, Kensington The Professionals’ Choice, NanoSaver, Register & Retrieve and Cleat are trademarks of ACCO Brands. All other registered and unregistered trademarks are the property of their respective owners.